It’s true. A 14-year-old student actually has some perspective on the world and language to share his thoughts. Though, not much perspective, and his or her literacy language is merely emerging, but the fundamentals of storytelling are there. In my classroom, I like using the following clip of Richard Wagamese to illustrate a few aspects of storytelling. First, professional storytelling is a real job. You can make money at it. 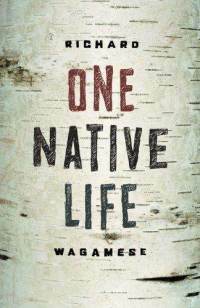 Second, Wagamese’s words are as universal to the human condition as they are simultaneously specific to our Minnesotan community, though he is Canadian. The accent is even there. Third, Wagamese’ content thesis about the language explosion of children is true and important. Sign Language gracefully adds a visual layer, reminding me of the companionship of seeing and hearing and storytelling. a little goof-troop kid may think that he is, indeed, Harry Potter. All the clues of his life seem to support this inevitable conclusion. a statue has quietly watched a young man and young woman love and marry and become a devoted husband and Alzheimer’s patient. a poisonous, sentient mushroom colony is observed by a young woman who warns her community of the suspect nature of salad bar items, but to no avail. a girl’s tortured decent into clinical depression is combated only by an acceptance of her father’s love. More to come on this topic, I am sure. Hopefully, Mr. Wagamese would be proud. I agree–children can make such interesting and creative storytellers! I think it comes from how they see the world through such innocent and unaltered eyes! Great post- the best thing to do is encourage children to flex their writing muscles at an early age.